The Penn State Alumni Association will recognize 14 graduates on Oct. 3 with the lifelong title of Alumni Fellow, the highest award given by the Alumni Association. Robert Cutietta (D.Ed., music education, 1982), dean of the Thornton School of Music and Kaufman School of Dance at the University of Southern California, will be inducted as a Penn State Alumni Fellow. Since 2002, he has overseen an expansion in endowment, programs, and space within Thornton while building upon the traditional quality of education that is the school’s trademark. Under Dr. Cutietta’s leadership, the Thornton School has introduced innovative new degrees in music education, arts journalism, visual and performing arts studies, choral music, vocal jazz, and the groundbreaking popular music performance program. In the fall of 2014, a graduate degree in Music Leadership was introduced further positioning the Thornton School as an innovator in music instruction. 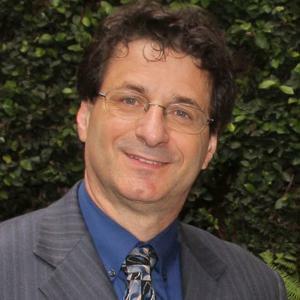 Dr. Cutietta is author or co-author of five books and over fifty articles in the area of music psychology and education. He is a founding member of Montana Public Broadcasting (PBS), and currently a member of the Advisory Board of Classical KUSC Radio in Los Angeles, the Orange County School of the Arts, the Maestro Foundation, Fender Music Foundation, and the GRAMMY Blue Ribbon Adjudication Committee. He received the Outstanding Music Alumni Award from the Penn State College of Arts and Architecture in 2001. The Alumni Fellow program is administered by the Penn State Alumni Association in cooperation with the University's academic colleges, campuses and the Office of the President. Alumni are nominated by a college or campus as leaders in their professional fields and accept an invitation from the president of the University to return to campus to share their expertise with students, faculty and administrators. His visit will include two public music education sessions: Oct. 3rd from 10-11 am (128 Music II) and Oct. 4th from 12:05-1:20 pm (102 Music I).